Some define the climate of Delhi to be bad because of the combination of scorching aridity of Rajasthan’s deserts and the frigid cold of the Himalayas. 40°C is common here in the months of April to October. The temperature touches near to zero degrees in December and January. In these two months Delhi is blanketed in thick fog. The pleasant months are February to April and September to November. The temperature ranges from 20°C to 30°C. July and August is the rainy months. 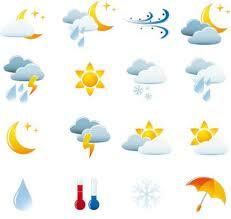 The average annual rainfall of Delhi is around 67cm or 27inches. Traditionally the Monsoon hits Delhi city on 29th June every year. Due to hot climate there are often water shortages in summers. There are also spells and dusty conditions during this period and heat wave peaks during the month of May. It is a real torturous season and sometimes the unbearable heat wave also claims lives if proper precaution is not taken. During this time of the year the city comes to life in the evenings when the sun sets and at night. Extreme recorded temperatures of Delhi were 0.6 °C (10 January 1935) to 47 °C in summer.